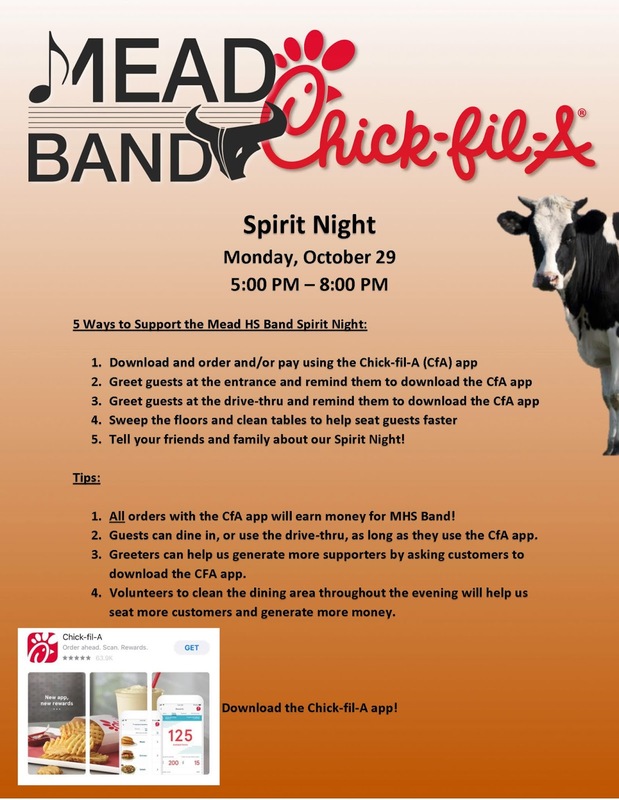 We need your help to make the Spirit Night at the Longmont Chick-Fil-A a success. Please consider signing up for one of the positions on the signup genius. Thanks! 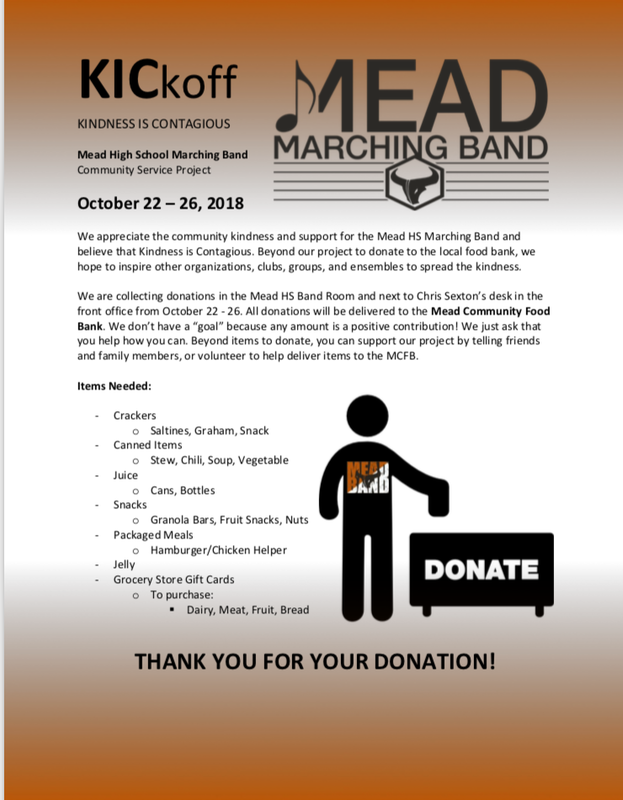 We will need donations of plates, napkins and water bottles for lunch after the parade practice on October 20th. Please follow the link to sign up. Thank You! We are in need of a couple of parents to setup for a pizza lunch in the Mead Middle School cafeteria after the parade practice on October 20th. Lunch will be from approximately 11:30-noon. If you can help, please email Mr. Lemons. We are in need of one parent to work the volleyball game concessions this Thursday, October 11th. The estimated times for this are 4:30-8:00 pm, but it is possible to fill this time slot in shifts. Please email Mr. Lemons if you can help for all or part of this time slot. Thank you! !